My mother used to say “if you want something done, give it to a busy person.” I think she may have been referring specifically to having people killed, but in any case: I have taken on the job of trying to finish off the year, see my folks, fulfil social obligations and also for some idiot reason chosen right now to split my existing messy, sprawling blog into Songs You Should Rediscover Today Because They Are Awesome and the writin’ stuff, which is no-hyperlink-necessary here. Because I write a lot. Yeah, that’s right: when you get into the writing game, you’re just running around with sacks of sweet, sweet scratch. For example, currently at The Vine is 100 Days of Tony Abbott: Reasons to be Hopeful, in which is trying desperately to shore up some Left Wing optimism in the face of a horrendous three months for anyone who doesn’t loathe their fellow citizens of Earth. I’ve also linked the last eight or nine issues of Ten Things below, my Mon-Thurs morning news column where I get up at 5am, drink very strong coffee and get mad at the news. So that’s the Vine – there’s also loads of good stuff at Time Out, ranging from a bunch of screeds about new schoolyard rivalries in a post-Fod-vs-Holden Australia, pretending to be former PM John Howard, being all satirical about Tony Abbott refusing to apologise for Neighbourhood Watch, whether Bogan is the new Hipster, and did a gloriously inept Venn diagram explaining how the Big Day Out have replaced Blur on the 2014 lineup. Oh, and a new one about How To Protect Yourself From The 2012 Mayan Apocalypse Again. And I did two dream interviews at Time Out recently: the wonderful, hilarious Neko Case and the goddamn brilliant Edwyn Collins. Oh, and I chatted with Anna Calvi for the Vine as well. Forgot about that. I’ve done a lot of music stuff, unsurprisingly, including several things for the Guardian, including a chat with Nile Rodgers, asking whether Australian country music is having a big weird crisis, and what the five best ever Saints songs are. In the still-breathing world of print, Australian Guitar has a big ol’ Neil Young retrospective as its cover story, which took me ages to write for some reason, Elle has a piece about Young Adult Novels from me, and there are reviews floating around at the Sunday Telegraph (and related News Sundays) for American Hustle and a few other films that I can’t remember right now. Anyway, get some reading in over the Xmas break. I don’t write this stuff for my health, you know. PS: oh, and those 10 Things links are below. 10 Things – Humans vs Environment: the road to victory! 10 Things – So, who’s up for war with China? Welcome to MY EXCITING NEW SITE THAT’S VERY EXCITING. Nothing’s here yet, so in the meantime go to my ACTUALLY FAR MORE EXCITING SITE UNTIL I GET AROUND TO PUTTING THINGS UP HERE. What’s the ABC actually for? Glad you asked! One of the best things about the ABC, as far as the government goes, is that they can’t complain about reductions to their own services because then they wouldn’t look impartial and therefore clearly be deserving of punitive cuts. Communications Minister Malcolm “you don’t seriously think I’m a secret lefty these days, surely?” Turbull announced the cuts earlier this week and even went on QandA on Monday to tell them that losing 500 jobs before Xmas was basically nothing to worry about and that $50 million per year in cuts should be easily absorbed. The cuts will also force the closure of Adelaide production studios – leaving only Sydney and Melbourne operating – which has resulted in the bizarre spectacle of seeing Education Minister Christopher Pyne (and MP for the Adelaide electorate of Sturt) petitioning against his own government’s policy. Turnbull also explained that commercial networks were all doing it tough these days and that therefore… um, the ABC should also suffer, despite not being a commercial network? And here’s the thing: it’s a distinction that needs making because the ABC is not just a fancier version of channels 7, 9 and 10 paid for by the public purse. It’s a completely different beast. Let’s start with the question of what commercial networks are there to do. The answer is very simple: make money from advertising. That’s what they exist to do. A network that doesn’t make money is a failing network. There’s nothing wrong with being profit driven business – that’s the entire basis of capitalism, after all. But providing you with entertainment and information is a means to an end: they want you to watch the commercials they sell. That’s the business model. You’re not the audience: you’re the product. It’s true of all free services. Want more proof? Lovingly cast your eyes to the left and right hand sides of the page you’re currently looking at. And hey, why not click on them while you’re at it? It all helps. The ABC, however, is not there to make mad dollaz, yo. 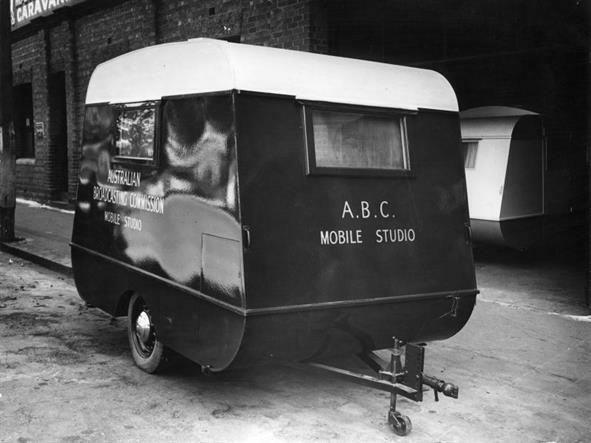 And that’s because of the ABC Charter, enshrined in section 6 of the Australian Broadcasting Corporation Act 1983. One of things said by the dumber end of the political spectrum is the ABC should be able to compete with commercial networks if it’s so gosh-darn good. The problem with that is that it’s specifically forbidden to do so by the aforementioned charter. Specifically, section 2(a)(i): one of the jobs of the ABC is not to duplicate “the broadcasting services provided by the commercial and community sectors of the Australian broadcasting system”. So it’s not meant to compete with the commercial networks. Fine. But what isthe ABC meant to do? Here’s section one, in its entirety, laying out what your ABC is all about. … so the axing of the Australia Network makes (b) kinda tricky, and since (ba) has been the main thing they’ve been sinking development money into, that’s going to be where a lot of cuts are likely to be made: which makes it harder for them to live up to the terms of their charter, which gives the government another stick with which to beat them. You can already imagine the conservative argument: heck, if they can’t even do what they’re obliged to do under law, why are we wasting money on it? Editor update: Inspired by the ’80s campaign “8 Cents a Day” in funding negotiations for the ABC, 8 cents being the estimated cost of the ABC per head of the population per day for the service, we’ve worked out the numbers for the ABC in 2014. At the moment the ABC is operating on $1.04 billion per year. The current Australian population is approx 23,868,684 (you can watch it tick up on the ABS website), and that averages out to around $45 per year per person, and about 12 cents per person per day. Not bad when you take into account inflation, expansion into internet services, and digital output (leading to more channels on radio and TV), a 4 cent increase ain’t bad at all over 30 years. Plus, there’s that leaked report from KPMG which proves the ABC is working as efficiently as it possibly can be, and is in fact underfunded. But there’s another point worth making here, which is that the ABC isn’t just a radio and TV network. It’s a nation builder. That’s the main reason why the government decided to consolidate the country’s metropolitan public radio stations in 1932. Furthermore, like government itself, the ABC is yours. It’s there for the betterment of you, your family, your community and your country. That’s why you pay (practically nothing from your own pocket) to support it. We’re a small, geographically disparate country with a tiny population by global standards. One of the few things that unites us across this wide, brown, sea-girt land is Our ABC. That’s what makes it powerful, and – if you’re a government who currently sees electoral value in creating division and fear – that’s what makes it threatening. Who is more representative of the people of Australia: a media organisation obliged by law to provide timely, accessible services to the nation, or a for-profit conglomerate? And ultimately that is why the ABC is so important. It’s not beholden to anyone except the people. It’s entire explicit purpose is to be clear, accurate, accessible, and to support our local culture without being concerned if it’s going to get a solid 12 in key demos on Sunday evenings. We are not merely a nation of customers. We are citizens. More than that, we are Australians.